After the lovely long Christmas break, it was a bit of a come down to have to go back to work last week. Having said that, getting back to our normal routine was beginning to look attractive after having had so much going on. We started on Monday with a much needed trip to the shop to stock up on some extra groceries. It then started raining as we ate lunch, but fortunately was clear by the time Tom woke up from his nap. Expecting more rain, I opted for water play in the garden, which was a huge success. I’ve resolved to do more with the space and am on the look out for inspiration. Tuesday was my first day back at work. I left Tom and Mr Techno to enjoy each others’ company, returning to find they hadn’t actually left the flat all day! Big fail on the outdoor front. We had to wait in on Wednesday morning to have a new lock fitted. So I was keen to get out in the afternoon. Sadly, Tom and I had different agendas for our walk, making it a bit of a disastrous one. Isn’t parenting fun! 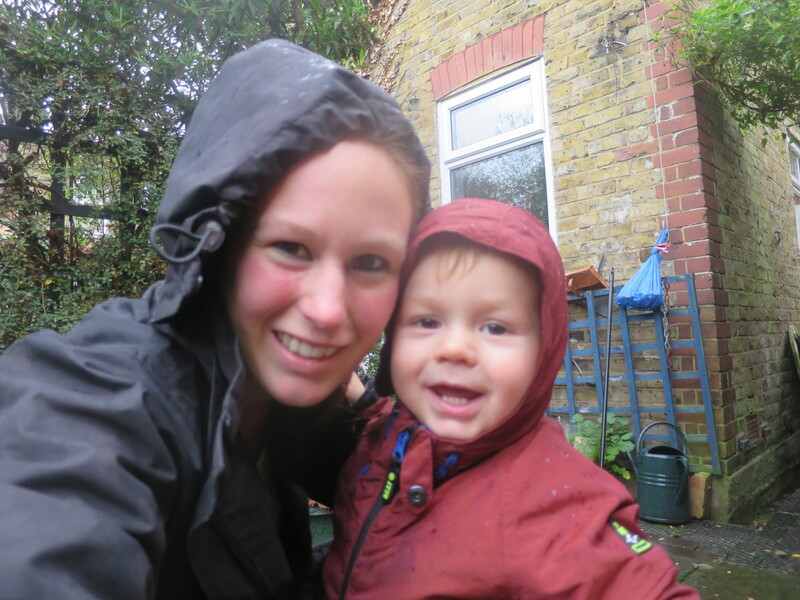 Thursday started rather wet, with a walk to nursery in the pouring rain. Tom was dry under his buggy’s rain cover, and I had my waterproofs, but it wasn’t the most pleasant walk we’ve ever had. Fortunately it had stopped by the time I picked him up again, though we skipped our normal stop off in the park, since I had to get us both packed and ready to go to Suffolk the following evening. Friday morning was much nicer – dry and quite sunny, though cold. Tom was not in a great mood: it took us ages to get out of the house and he then grumbled all the way to nursery. I wasn’t in the best of moods either, which didn’t help. Bad time of the month! We didn’t have our usual walk back that evening, as Mr Techno came to pick us up so we could all drive to Suffolk to see my in-laws for the weekend. Saturday and Sunday were spent in Suffolk, enjoying the beautiful countryside. Mr Techno went shooting on Saturday with his day, and Tom and I enjoyed lots of walks and exploring. Posted on January 14, 2016 January 13, 2016 by LucyPosted in Weekly UpdateTagged Bad Week, East London, Family, Suffolk, water play. Previous Previous post: Can Sick Kids Play Outdoors?